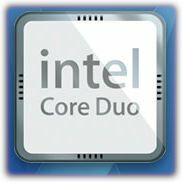 Macworld: Will Intel iMacs Outperform Quad Power Macs? Okay, benchmarking geeks, here’s a word problem for you: Apple’s iMac with a 2.0 GHz Intel Core Duo is twice as fast as the old iMac with a 2.1 GHz G5. How does it compare to a Power Mac? Hard to say, especially since only some apps are native on the new chip, but here’s a sobering stat: in terms of Macworld.com’s Speedmark test, the Quad-Core 2.5GHz Power Mac G5 only bests a 2.1 GHz G5 iMac by 257 to 190. That means, running native code (soon to include Logic Pro), the iMac could perform as well or significantly better than a more expensive Power Mac. Don’t rush out and buy the iMac just yet, but can anyone explain?